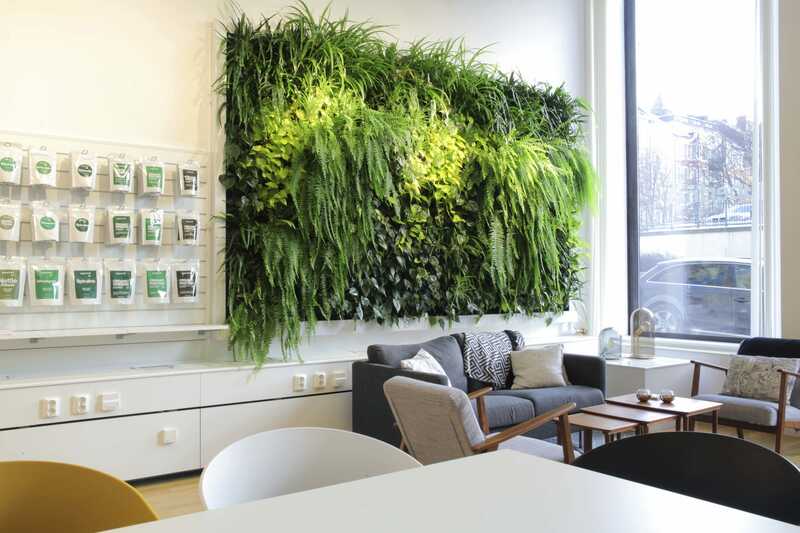 The project consists of an installation in a central spot in Stockholm completed in the spring of 2015. The living wall is really thriving. What makes it extraordinary is the meticulous attention to details: from the visible copper pipes to the thin frame to match with other details in the space. The water tank also doubles as a coffee table by the sofa. 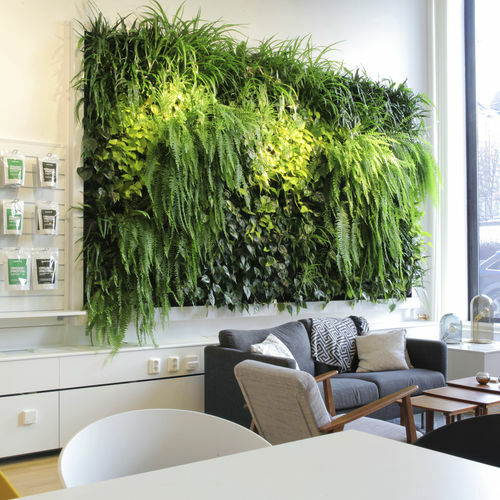 On the wall, we used lots of ferns to oxygenate the air and match with the fresh image of the brand.